As bloggers we are always working to grow our numbers: our monthly visitors, our social media followers, our newsletter subscribers, our engagement, and so much more. It’s a pain caring about the numbers, but the numbers do measure how we grow and who we are reaching with our blogs. One great way to increase your reach is to get in front of a brand new audience. And I have a great surprise for you! I have a truly amazing new audience for you and I’m bringing it to you on a silver platter. What you do with it, is up to you! The South Florida Bloggers has recently partnered with the influential community: Creative Mornings Miami. The concept is simple: breakfast and a short talk one Friday morning a month. Every event is free of charge and open to anyone. Today, attendees gather in 142 cities around the world to enjoy fresh coffee, friendly people, and an international array of breakfast foods. Volunteer hosts and their team members organize local chapters that not only celebrate a city’s creative talent, but also promote an open space to connect with like-minded individuals. 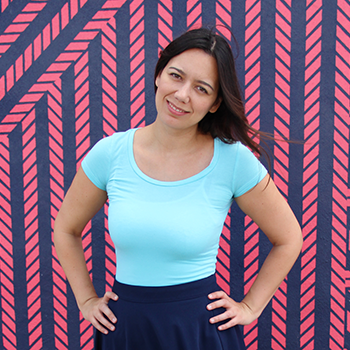 The Creative Mornings Miami chapter is full of influential members including Wifredo Fernandez (Founder of The Lab Miami), Bruce Pinchbeck (Co-Founder of The New Tropic Miami), Mandy Bacca (writer for Thrillist), and the list goes on! These are pretty cool people you should be getting in front of and letting them know about your blog! I’m glad you asked! Creative Mornings Miami has teamed up with The South Florida Bloggers to tell the story of South Florida via their Tumblr blog! Each week, a member of The South Florida Bloggers will take over their Tumblr and share 2-5 articles. The best part is that you can share EXISTING content from your blog! You can share YOUR TOP 2-5 stories or you can write brand new content. It’s up to you. 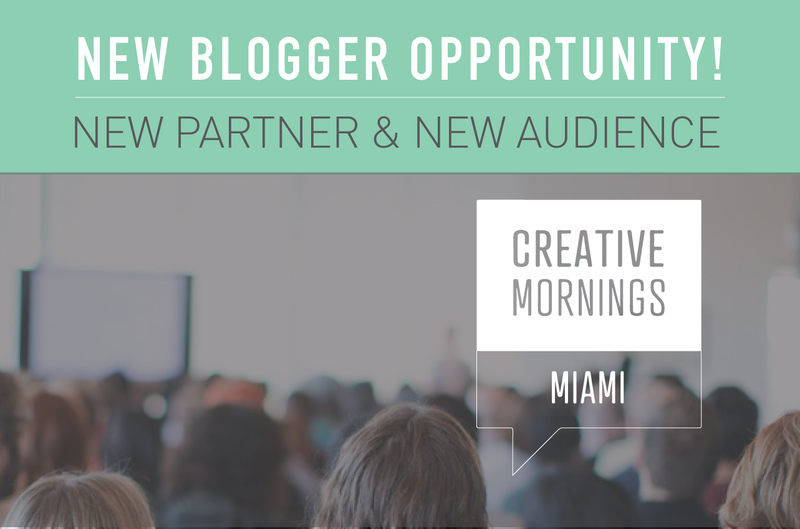 All you have to do it email info@southfloridabloggers.com and let us know you are interested in featuring your articles on the Creative Mornings Miami Blog. All types are bloggers are welcome! We are looking for people to tell the story of South Florida or creativity. So if your blog is about crafting – submit a DIY tutorial. If your blog is about restaurant reviews – submit your very favorite restaurant reviews. If you are a writer – send your top stories, poems, or sentences. If you’re an artist… alright, I think you get the point. It’s going to be pretty cool and I hope you will be part of this. You can’t beat hassle-free exposure to a kick as audience like this one. Let’s do this! Send the email to save your takeover spot now!